I love LEGO. The Boy also loves LEGO. But all the LEGOs were driving me crazy! LEGO pieces were everywhere. We had been keeping them in 2 huge drawers that rolled beneath a toy train table - one of those large 4 foot by 3 foot tables. 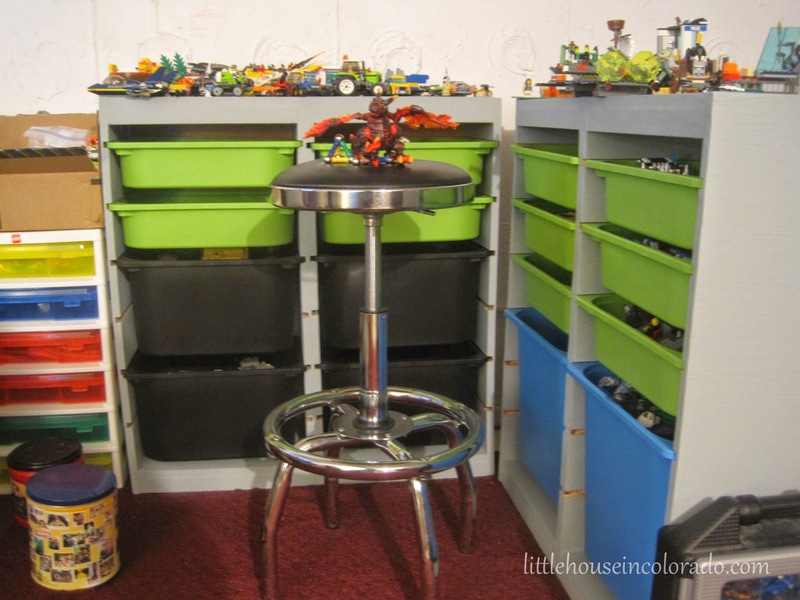 The LEGO filled the drawers and were covering the tabletop. We also had one of the 6-Case LEGO Workstations (which I love) but it just couldn't handle the sheer number of LEGO pieces we had! 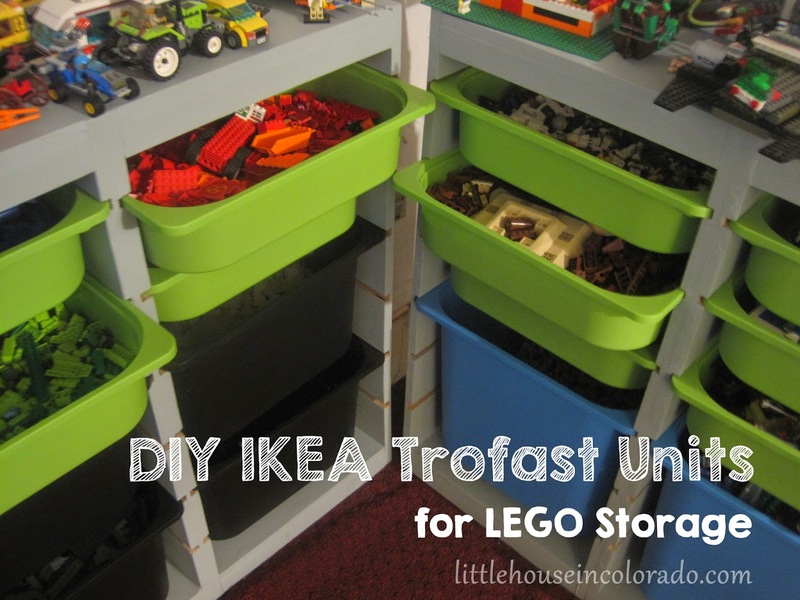 I had seen various sizes of Trofast units popping up all over the internet as LEGO storage and I loved it. The only problem would be how many units we would need in order to store all (or at least most) of The Boy's LEGO collection. The 36" high pine frame we liked was $50 a piece - and that didn't include the bins we would need to store all the LEGOs in. Discouraged by the cost, the project was put on hold until I came across the DIY IKEA Trofast Storage on Ana-White.com. If you have never considered making anything out of wood before, this site will probably change your mind. It’s SO inspiring. Since I could get 3 out of one set of plans, I thought I'd make SIX. Four for The Boy and his monstrous collection of LEGOs and the remaining two for The Girl and her ever-increasing number of LPS pets and accessories. The Girl's Storage Unit. She requested one slot be used for a shelf instead of a bin. We also attached 2 drawer pulls to one side to be used as hooks. To make the units sturdier, I connected 2 towers together and added a back to them from 1/4 inch plywood spanning both towers. This really made it more solid and helped keep the sides from bowing out. The cost of this project was lessened by using scrap lumber. There were some pretty large sections of plywood in the rafters of our garage left by the previous tenants. There was enough plywood for about 4 1/2 of the towers. We also got a really generous AMEX gift card for Christmas that we put towards purchasing all the bins we would need from IKEA. I have more plans to expand on the LEGO storage so you'll be seeing more about that in a future post.